Have you ever received EDI data from an EDI ID that you did not recognize? Or have you ever started receiving EDI data out of the blue from a Trading Partner that was not already setup in your system? With EDI/HQ™, 1 EDI Source takes the guess work out of it for you. No more scrambling to try to figure out who sent you the data! With a simple click of a button, you can send the ISA envelope information back to 1 EDI Source and draw on our vast Trading Partner database. In a matter of seconds, EDI/HQ™ will query our database and automatically rename the Trading Partner for you. But it doesn’t just stop there…with EDI/HQ™ the whole Trading Partner is setup for you. No more having to hand key in the ISA and GS information! 1 EDI Source captures that information from an inbound transaction and sets up both the inbound and outbound Trading Partnerships. The user simply needs to verify and add the map if a global map is not applied. If global map and file paths are applied, the end user does not need to do anything. Everything is automatically handled by EDI/HQ™. 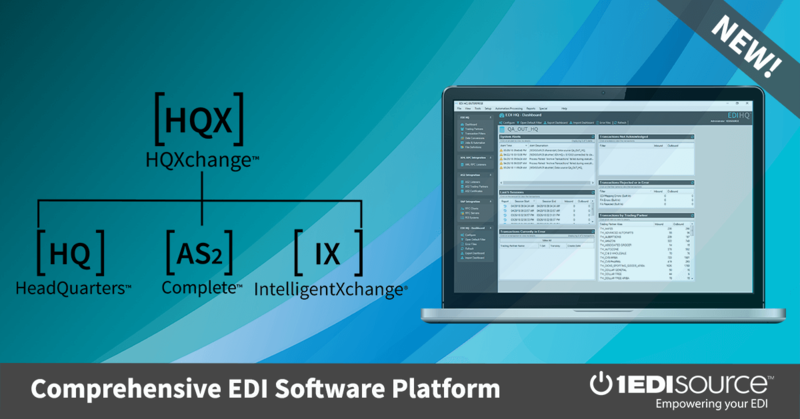 And if that is not enough… with EDI/HQ™ you can even send alerts to your cell phone, email or both every time you receive data from a new Trading Partner or a new transaction set is sent by an existing Trading Partner. How many times does an existing Trading Partner start sending you 864s or another transaction set without you knowing? With these built in alerts, you can be notified immediately!